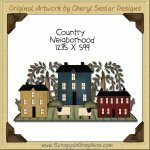 This collection of country graphics is perfect for all your prim projects. 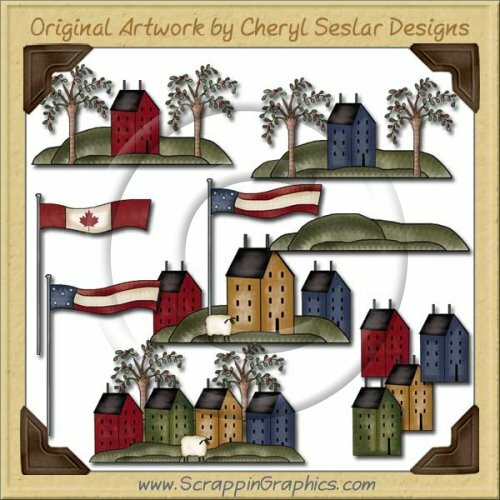 This set includes 11 different graphics: American flag, blue house on hill, Canadian flag, four houses in a group, hills, blue house, green house, yellow house, red house, homes with American flag, red house on hill. 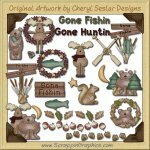 Great collection for making cards, labels, tags, invitations, and other printables.